^ a b c d e f g h i j k l m n o p q r s t u v w x y z aa ab ac ad ae af ag ah ai aj ak al am an ao ap aq ar as at au av aw ax ay az ba One or more of the preceding sentences incorporates text from a publication now in the public domain: Chisholm, Hugh, ed. (1911). "Württemberg" . Encyclopædia Britannica. 28 (11th ed.). Cambridge University Press. The 26th Division (26. Division), formally the 26th Division (1st Royal Württemberg) (26. Division (1. Königlich Württembergische)), was a unit of the Prussian/German Army. It was headquartered in Stuttgart, the capital of the Kingdom of Württemberg. The division was subordinated in peacetime to the XIII (Royal Württemberg) Corps (XIII. (Königlich Württembergisches) Armeekorps). The division was disbanded in 1919 during the demobilization of the German Army after World War I. 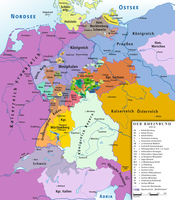 The division was raised and recruited in the Kingdom of Württemberg. The 27th Division (27. Division), formally the 27th Division (2nd Royal Württemberg) (27. Division (2. Königlich Württembergische)), was a unit of the Prussian/German Army. It was headquartered in Ulm in the eastern part of the Kingdom of Württemberg. The division was subordinated in peacetime to the XIII (Royal Württemberg) Corps (XIII. (Königlich Württembergisches) Armeekorps). The division was disbanded in 1919 during the demobilization of the German Army after World War I. The division was raised and recruited in the Kingdom of Württemberg. Among the most famous soldiers to serve in the division was the later-Generalfeldmarschall Erwin Rommel, who fought as a lieutenant with the division on the Western Front before being transferred to the Württemberg mountain battalion. Alfred Karl Meebold (Heidenheim an der Brenz, Kingdom of Württemberg, September 29, 1863 – January 6, 1952, Havelock North, New Zealand) was a botanist, writer, and anthroposophist. Erich Ehrlinger (14 October 1910 in Giengen an der Brenz, Kingdom of Württemberg – 31 July 2004 in Karlsruhe, Baden-Württemberg) was a member of the Nazi Party (number: 541,195) and SS (number: 107,493). As commander of Special Detachment (Sonderkommando, also known as Einsatzkommando or EK) 1b, he was responsible for mass murder in the Baltic states and Belarus. He was also the commander of the Security Police (SiPo) and the Security Service (SD) for central Russia as well as a department chief in the Reich Main Security Office (Reichssicherheitshauptamt or RSHA). He did not hold a doctorate degree, as is sometimes reported. He would eventually rise to the rank of SS-Standartenführer. Ernst Stengelin (born 10 August 1911 in Tuttlingen – died 14 October 1943 in Sobibor) was a German SS-Unterscharführer (Corporal) who served at Treblinka and Sobibor extermination camps and was killed in the Sobibor uprising. Nothing is known about his personal life. Stengelin served in the killing center at Grafeneck Castle in Grafeneck at Münsingen and the Hadamar Euthanasia Centre, before he was reassigned to the "Aktion Reinhard" extermination camp Treblinka. Then he came to Sobibor shortly before the uprising of the Sobibor extermination camp. He was employed in the camp and was killed by the camp inmates during the uprising. Franz Suchomel reported as the only witness of his death. Friedrich von Huene, full name Friedrich Richard von Hoinigen (March 22, 1875 – April 4, 1969) was a German paleontologist who renamed more dinosaurs in the early 20th century than anyone else in Europe. He also made key contributions about various Permo-Carboniferous limbed vertebrates. Daimler and his lifelong business partner Wilhelm Maybach were two inventors whose goal was to create small, high-speed engines to be mounted in any kind of locomotion device. In 1883 they designed a horizontal cylinder layout compressed charge liquid petroleum engine that fulfilled Daimler's desire for a high speed engine which could be throttled, making it useful in transportation applications. This engine was called Daimler's Dream.In 1885 they designed a vertical cylinder version of this engine which they subsequently fitted to a two-wheeler, the first internal combustion motorcycle which was named the Petroleum Reitwagen (Riding Car) and, in the next year, to a coach, and a boat. Daimler called this engine the grandfather clock engine (Standuhr) because of its resemblance to a large pendulum clock. Josef Bühler (also referred to as Joseph Buehler) (16 February 1904 – 22 August 1948) was a state secretary and deputy governor to the Nazi Germany-controlled General Government in Kraków during World War II. Joseph Bayer (1846–1900) was an importer and wholesaler of wines and liquors, in 19th century Los Angeles, California. He emigrated to the U.S. from the Kingdom of Württemberg. The Military Merit Order (Militärverdienstorden) was a military order of the Kingdom of Württemberg, which joined the German Empire in 1871. The order was one of the older military orders of the states of the German Empire. It was founded on February 11, 1759 by Karl Eugen, Duke of Württemberg as the Militär-Carls-Orden, and was renamed the Militärverdienstorden on November 11, 1806 by King Friedrich I. The order underwent several more revisions over the course of the 19th and early 20th centuries. 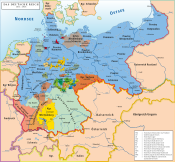 It became obsolete with the fall of the Württemberg monarchy in the wake of Germany's defeat in World War I.
Otto Karl Gessler (or Geßler) (6 February 1875 – 24 March 1955) was a liberal German politician during the Weimar Republic. From 1910 until 1914, he was mayor of Regensburg and from 1913 to 1919 mayor of Nuremberg. He served in numerous Weimar cabinets, most notably as Reichswehrminister (Minister of Defence) from 1920 to 1928. Zeller was born at Steinheim (Murr) Württemberg, two miles from Marbach, the birthplace of Schiller. The family moved to Frankfurt (Oder) where Philipp went to the gymnasium where natural history was not taught. Instead, helped by Alois Metzner, he taught himself entomology mainly by copying books. Copying and hence memorising, developed in response to early financial privation became a lifetime habit. Zeller went next to the University of Berlin where he became a candidat, which is the first degree, obtained after two or three years' study around 1833. The subject was philology. He became an Oberlehrer or senior primary school teacher in Glogau in 1835. Then he became an instructor at the secondary school in Frankfurt (Oder) and in 1860 he was appointed as the senior instructor of the highest technical high school in Meseritz. He resigned this post after leaving in 1869 for Stettin, home of the Stettin Entomological Society. Zeller's first entomological studies were of Coleoptera and Diptera and he especially admired Johann Wilhem Meigen's “Zweiflügler”. This is of great importance since studies of Lepidoptera were then, as now, more concerned with species descriptions than with systematics and phylogenetic relationships and the nomenclature was already very confused (and confusing). Zeller's precise, orderly approach culminated in the most significant lepidopterological work of the nineteenth century – The Natural History of the Tineina. This, a monumental 13-volume monograph, was commenced in 1855 and completed in 1873. The other main authors were the Englishman Henry Tibbats Stainton, a Swiss, Heinrich Frey and another Englishman, John William Douglas. The Natural History of the Tineina appeared in English, French, German and Latin editions, the Irish entomologist Alexander Henry Haliday doing the bulk of the translations. The work established Zeller as perhaps the greatest lepidopterist of the century. His collection was acquired by Thomas de Grey, 6th Baron Walsingham and later donated to the Natural History Museum. Pius Bonifacius Gams (23 January 1816, Mittelbuch, Kingdom of Württemberg – 11 May 1892, Munich) was a German Benedictine ecclesiastical historian. The Royal Württemberg State Railways (Königlich Württembergische Staats-Eisenbahnen or K.W.St.E.) were the state railways of the Kingdom of Württemberg (from 1918 the People's State of Württemberg) between 1843 and 1920. Please see also the main article History of the railway in Württemberg. Sigfrid Karg-Elert (November 21, 1877 – April 9, 1933) was a German composer of considerable fame in the early twentieth century, best known for his compositions for organ and harmonium. Theodor Schwenk (8 October 1910, Schwäbisch Gmünd – 29 September 1986, Filderstadt) was an anthroposophist, an engineer and a pioneering water researcher who founded the Institute for Flow. He is most well known for his book Sensitive Chaos which explores subtle patterns and phenomenon of water, air and their relationship to biological forms. The narrative of the book is in the tradition of Goethe and Rudolf Steiner, viewing nature as ruled by a single unifying principle which is apparent in all movement and form. Wilhelm Hauff (29 November 1802 – 18 November 1827) was a Württembergian poet and novelist.